OP thanks for posting that. Anyone have thoughts on what constitutes a "race circuit session"? Seems it would be a typical DE weekend and not an individual +/- 20 minute run session. Wouldn't need to pull the CL wheels and grease etc for each run, surely? Otherwise it seems pretty comparable to the required tech inspections. I agree with your interpretation ... and I hope we're right! You don't need pull the wheels just to put grease on the centerlock mechanism. The greasing is done each time the wheels go back on after a tire change, brake changes, other service which req'd the wheel to be removed. Nothing to do with RWS I bet. 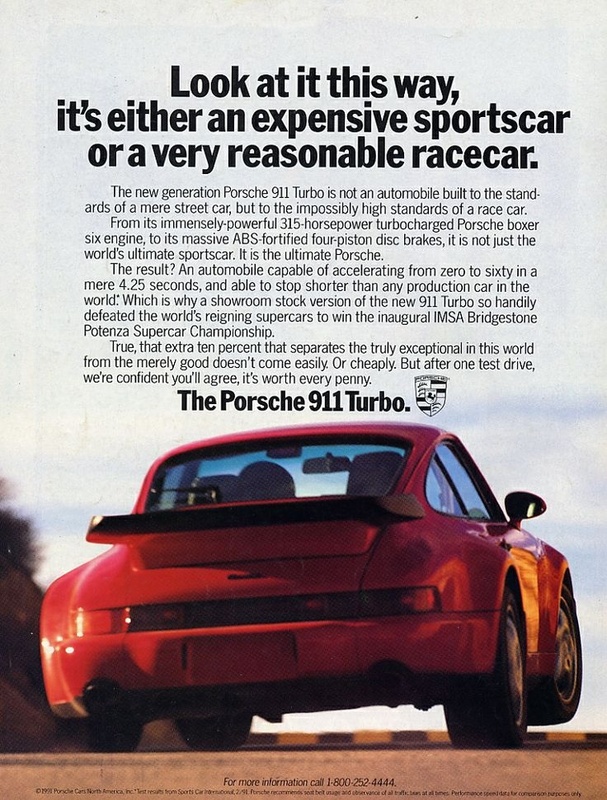 The manual for my 991 C2S also says no slicks, and has recommended intervals for track use. The manual further reaffirms Pete Stout's insight about very specific performance parameters that required high front wheel offset which doesn't quite fill the fenders. This is the first time I've ever seen a manufacturer have such prescriptive requirements regarding wheel offset. I don't see ads like this anymore..
Am I reading this correctly that the manual states removing and inspecting the center wheel locking mechanism before each track event? Ah! Thanks for posting this. So with what a typical avid lapper would do, the rear hubs should last about 2-3 years and the fronts twice as much, if my math is correct. That's not too bad. Undesirable cost, but not prohibitive. Also, seems that warranty should be intact unless maintenance is not followed. One thing I do not understand - let's say someone figures out a 19" tire option with correct offsets and overall diameters and non-slick tires - will it be a violation or still ok for warranty? Not that significant, but I was surprised to see oil change intervals at 6K track miles - that's several times as long as most of us do... I suspected that much for a while, based on oil analysis showing modern synthetics almost unchanged after 10+ track days, but it seems there is an official confirmation (unless it's a huge conspiracy to make cars blow up faster to sell more new ones, as most on BMW forums believe). Any circuit driving would contribute to the overall run time history. Even autocross. Agree that the oil change interval seems to long! Believe it's cheap insurance to keep the engine "healthy".